This is a round Tierra Del Sol porcelain sign. This particular Tierra Del Sol sign is predominantly brown and white with black text. 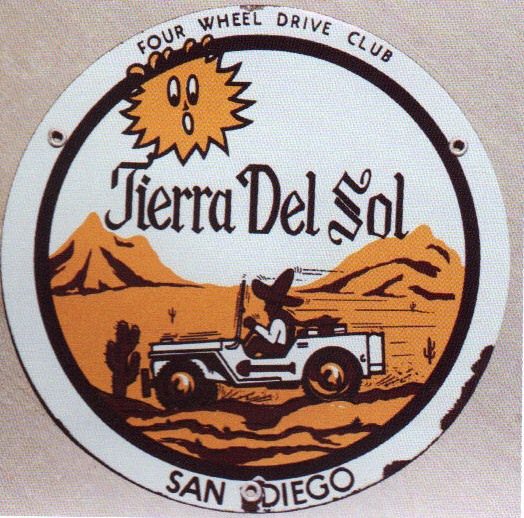 It reads, “Four Wheel Drive Club, Tierra Del Sol, San Diego” and features a man wearing a large black hat driving a vehicle across the brown desert in the center of the sign.